Safety and security is always important, especially seniors suffering from dementia and Alzheimer’s, who can no longer protect themselves from this fast-paced world. Besides getting confused, they will also get frustrated over things that they no longer remember. This is why getting them a family GPS tracker is the best way to protect them from the world. Be assured that your elderly loved ones are in safe locations within set time and curfews, and even alert their caregivers or homes regarding their location in case something is amiss. Have your elderly loved ones retain a bit of their independence, and they can still do their day to day activities because you won’t have to have them followed all around at all times. 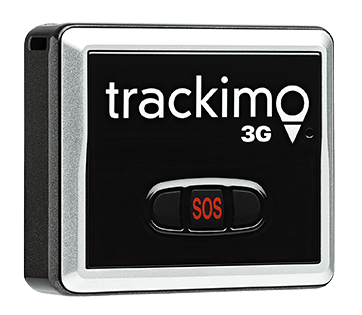 In case an elderly loved one goes missing, Trackimo helps locating them faster and easier with the help of GPS tracking technology that you can access through an app in your smart phone. Help authorities narrow down location of missing seniors and Alzheimer’s patients in case they wander far beyond their safe zone. 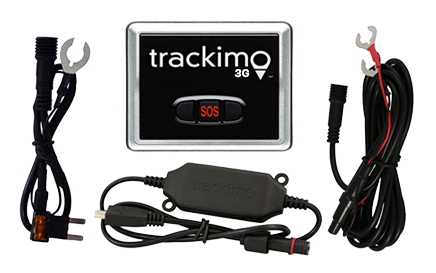 Always keep track of your elderly loved one via a Live GPS tracking map on your smartphone or PC. 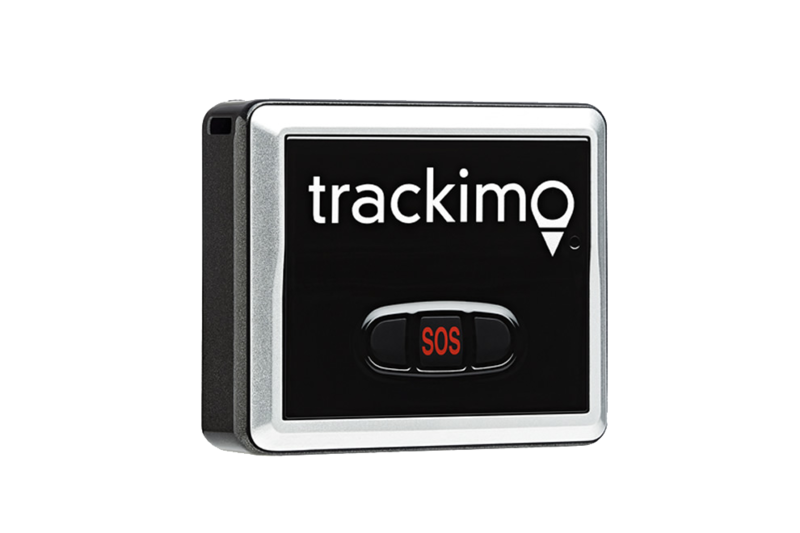 This real-time location tracking feature gives you peace of mind that they are safe and sound in their own home, and not in danger on the streets. Instant alerts are available when your loved one is in trouble. 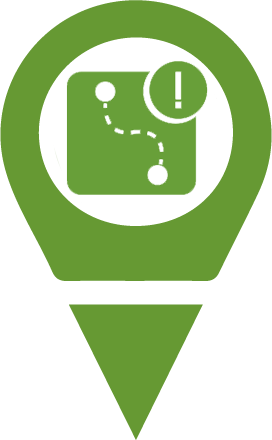 The SOS alert function is helpful especially in providing security for a person with dementia or Alzheimer’s. Give the elderly their needed independence without compromising their security. 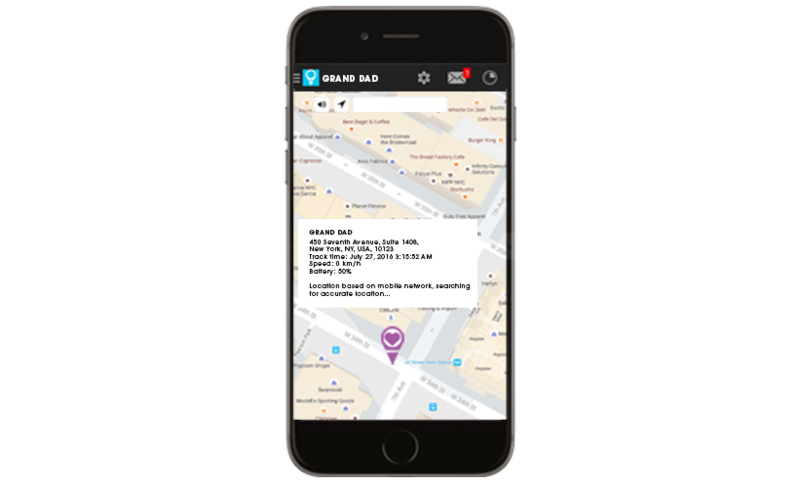 Set geo-fences and receive alerts via email or SMS in case they leave their predefined safe zone. 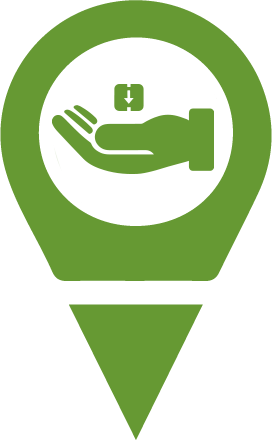 Our unique features ensure that your loved one is protected. 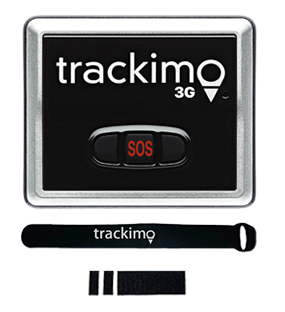 Trackimo is the world’s smallest and lightest family GPS tracker at only 1.4 ounces. First year is 100% FREE, and will set you back only $5 per month thereafter. 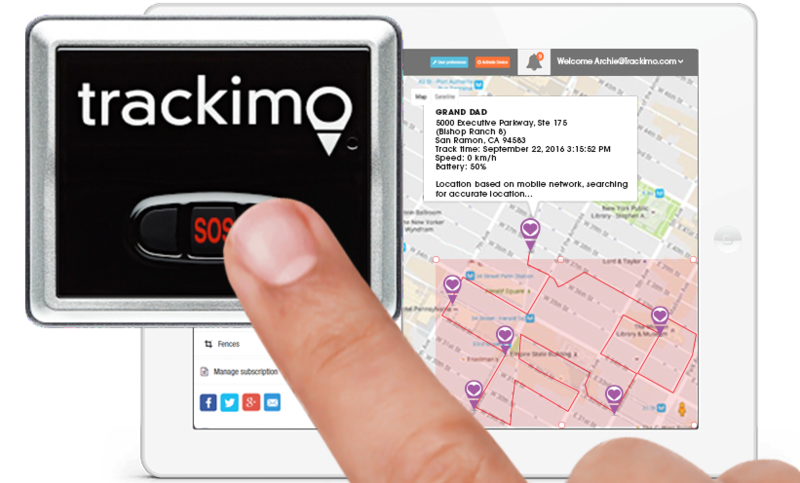 You can’t always be with your loved ones, but Trackimo can keep you connected.